Healthy recipes are common in my house. I am very fortunate my mother-in-law stays with us during the year for months at a time. She cooks a LOT. It’s so nice for me because I get more work done and get to play with the kids more. Plus I love her cooking. 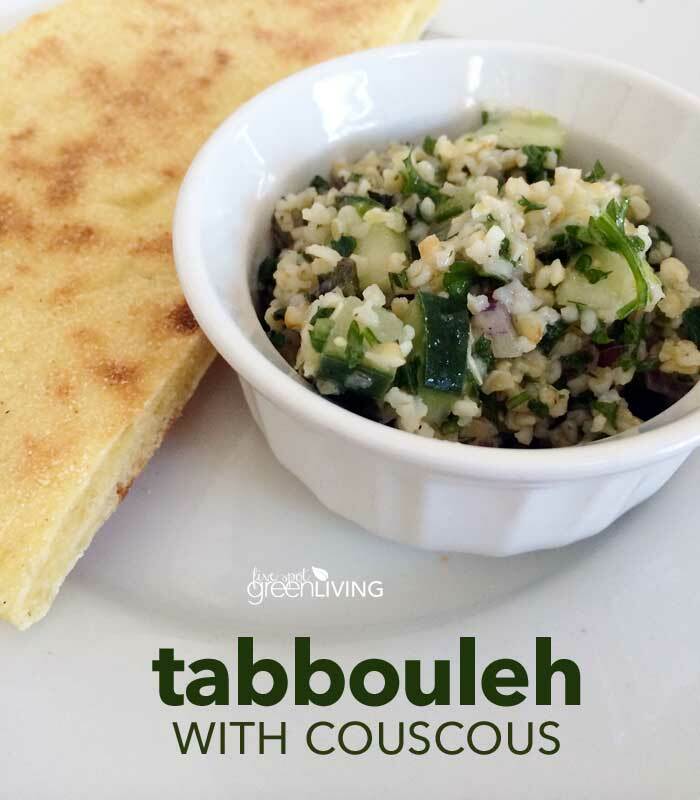 Last week she made a tabbouleh recipe with couscous just out of the blue. Couscous is a staple in Moroccan diets. 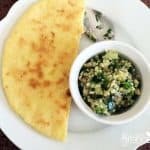 They eat couscous as a big meal with stewed meat and veggies, sweet with cinnamon and sugar, or in salads like this tabbouleh recipe with couscous. We eat lots of Moroccan food in this house! 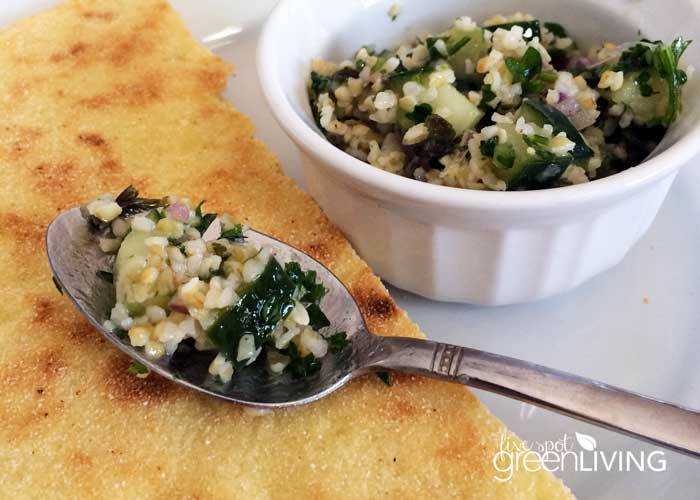 I was so surprised when she made this – I always seems to have an “eh” feel about tabbouleh. I could take it or leave it. But I always bought it from the store. I never had it freshly made. 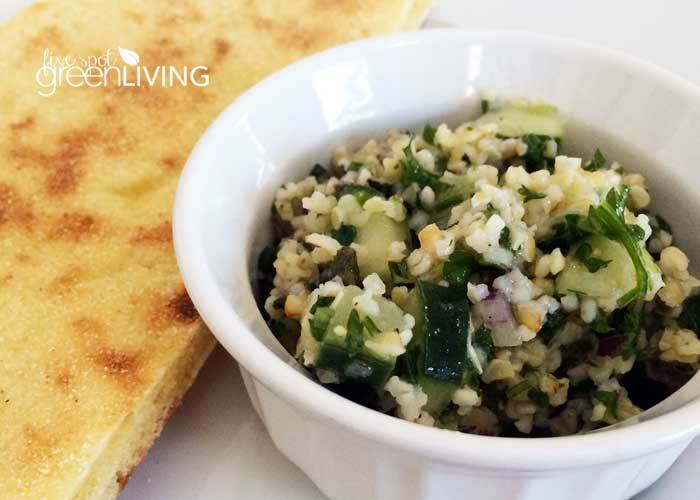 But after trying this tabbouleh recipe with couscous I am hooked. And how healthy it is! 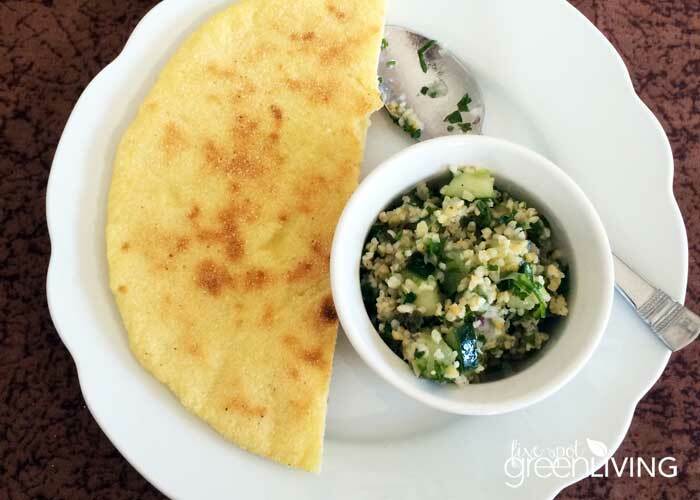 This is a great option for those who are not looking for gluten-free recipe! I enjoyed the leftovers for lunch with some cheese and sliced tomato inside the homemade bread made with flour and semolina. Place the bulghur and couscous in a large bowl, pour in the boiling water, and add the lemon juice, olive oil, and 1 1/2 teaspoons salt. Stir, then allow to stand at room temperature for about 1 hour.